Curd Rice is quintessential comfort food! 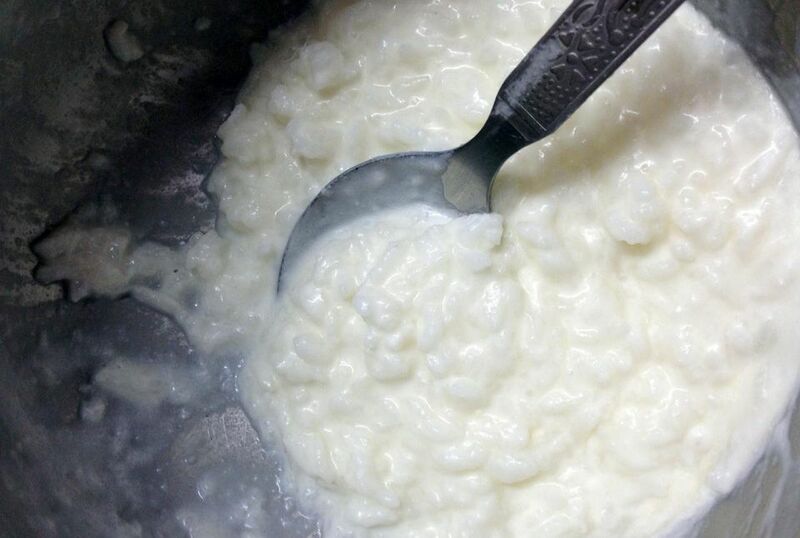 Although the word "curd" in India often refers to unsweetened yogurt, this dish of South Indian origin is actually cooked rice which is seasoned and then combined with yogurt. This recipe calls for sour yogurt--most plain yogurt has a sour enough taste, but you can make your own sour yogurt by adding lemon juice to plain yogurt. Just be sure not to use sweetened yogurt. In South Indian homes, the curd is most often eaten at the end of the meal to counteract the main dishes' spiciness and aid in digestion. This creamy rice tastes great with just a pickle or chutney as well as with daal (lentils) or a meat dish. If you use leftover cooked rice, you can put this dish together in no time--good cold or hot, but especially comforting served warm on a cold night. Wash the rice well and put in a pressure cooker with the water. Cook until done--cook first on high heat until you hear the first whistle, then simmer and allow 1 more whistle. Set aside for 1 to 2 hours. Mix the yogurt into the rice and add salt to taste. Heat the oil in a small pan and add the mustard seeds, curry leaves, and dry red chilies. Cook until the chilies are almost black. Add this mix to the rice and stir well. Garnish with coriander leaves. Serve with a pickle or chutney.